Today marks exactly one year until the bimillennium of Augustus’ death. Put another way, he died 1999 years ago today. That’s actually a rather neat illustration of how round-number anniversaries work. We are one year closer to the event in time this year than we will be next year, but there is still some strange sense that next year we will be closer. It is pure numerology really. Like any anniversary, it is really just about the resemblance between two dates. Simply put, 19th August 2014 matches up with 19th August AD 14 better than 19th August 2013 does. But it’s also about the fact that we can’t think about everything all the time. This time next year I will be in the middle of running a big conference about Augustus, and the ways in which people have responded to him over the past two thousand years. I’m really looking forward to it and it’s definitely something worth doing – but obviously I couldn’t do that every single day. Round number anniversaries also work for us because they help us to focus our interests, spurring us on to do something appropriate on a designated occasion, but also making it OK not to do that every single day in between. So I’m working on Augustus today, because that’s my main research project for the moment, and will continue to be until this time next year (and indeed a little beyond). But there’s no big event going on for this year’s anniversary. Instead, it seems like a good time to update this blog with a report on how the project as a whole is coming along. This is what I’ll be doing this time next year for the bimillennium itself. I began circulating the call for papers in April, and I’ve been thrilled by the response. The deadline for abstracts isn’t until 1st December, but because I asked people to contact me in advance to discuss their topics (in order to prevent overlaps), I already have a good sense of how interested people are. At the time of writing, I’ve had offers for nearly 40 papers, covering almost all of the major topics I hoped would come up. Obviously no individual papers are confirmed yet. I will need to wait until the formal abstracts come in, review them carefully with the help of the conference committee, and then send out official confirmations. So as excited as I am about some of the proposals I’ve received, I can’t really share any details about them yet. But I can definitely promise a good spread of topics at the conference, covering Augustus’ death and its immediate impact, later Roman emperors, provincial responses, late antiquity, the Byzantine empire, early Christian thought, early medieval literature, early modern philosophy and literature, 20th-century literature, contemporary popular culture, political theory and Augustan monuments. I am still keen to receive more proposals, though. My initial plan was to run the whole conference on a plenary basis – that is, not to have parallel sessions, but only a single session at any one time so that all delegates can attend all of the papers. But doing it that way does mean that only a limited number of papers can be presented in the time available. 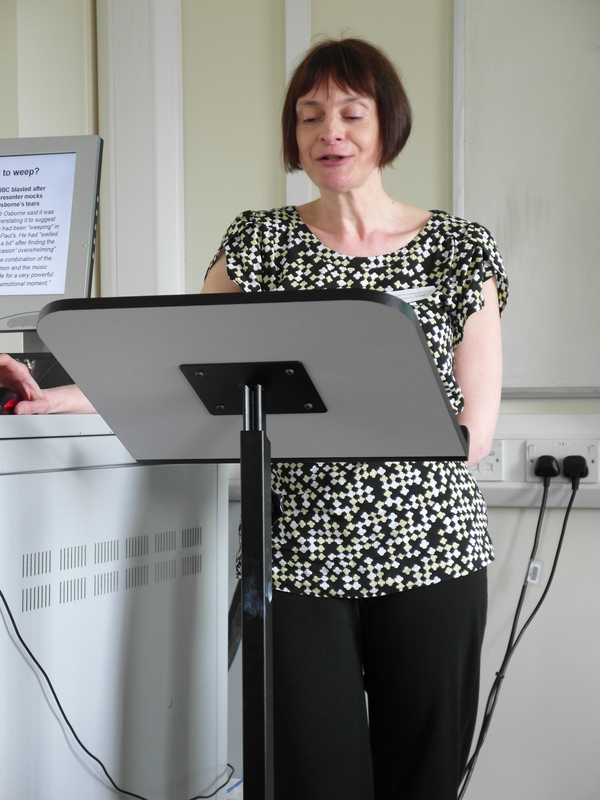 Meanwhile, earlier in the summer my colleague Emma Stafford ran an absolutely excellent conference entitled Hercules: a hero for all ages, and applied a genius solution to the problem of parallel sessions. She simply ensured that every paper was recorded (in audio format), and the recordings uploaded afterwards to a password-protected website. This means that all of the delegates now can listen to each others’ papers – and, as a bonus, the conference team was able to offer ‘virtual delegate’ status to people who couldn’t attend in person, but wanted to be able to listen to the papers presented. So if the number and quality of the abstracts submitted in December mean that (at least some) parallel sessions will be needed to fit them all in, I will go with Emma’s solution of recording the papers, rather than having to turn down good proposals because there isn’t space for them on the programme. And that means there is definitely room for more material. If you have anything to say on receptions of Augustus in any of those contexts, please get in touch with a proposal! And this is my own personal day-to-day research focus at the moment. While the conference deals with receptions of Augustus right from his death up to the present day, the monograph is a close study of his two big bimillennia: his birth in 1938 and his death in 2014. I’m studying them from a receptions perspective, in the sense that I am looking at what they reveal about the public perception of Augustus in each period, how he was used to serve contemporary agendas, and how looking at all this can help us to understand Augustus better for ourselves. But I’m also setting them in a wider framework of commemorative practices, and particularly anniversary commemorations. Here, I’m looking at how the commemorative context encourages or suppresses particular responses to Augustus, how his bimillennia compare with other round-number anniversary commemorations, and what difference it makes to commemorate an event which took place so long ago and in a culture of which no-one can now claim direct membership. Obviously the 2014 anniversary hasn’t happened yet, so there’s not much I can study! But I’m pleased to say that a growing number of commemorations of various different kinds are emerging as we get closer to the date. I’ve put a list here of the ones which are already in the public arena, but actually there are about as many again which I know are being planned but which haven’t been publicly announced yet. So I am confident I’ll have plenty to talk about, and am looking forward to seeing as many of them as possible for myself and talking to the people involved. Meanwhile, I’m concentrating on the first half of the monograph: i.e. the introductory material setting up the issues of anniversary commemorations and Augustus’ receptions, and the chapters covering the 1938 bimillennium and its impact. I reckon I have about 15,000 words of fairly solid academic prose in the bag now, which includes the two introductory chapters, and the beginnings of the third chapter. This is the exciting one, where I get into the 1938 bimillennium commemorations in real detail, and there is so much to say! As I’ve already indicated in my previous posts on my research trip to New York and the paper which I gave at the colloquium which launched the project in May, I have uncovered a whole world of commemorative events which extend way beyond the ones everyone knows about in fascist Italy, and I am enjoying teasing out what they can tell us about Augustus’ role in the discourses of the day, and how they help to illuminate the historical Augustus in the process. 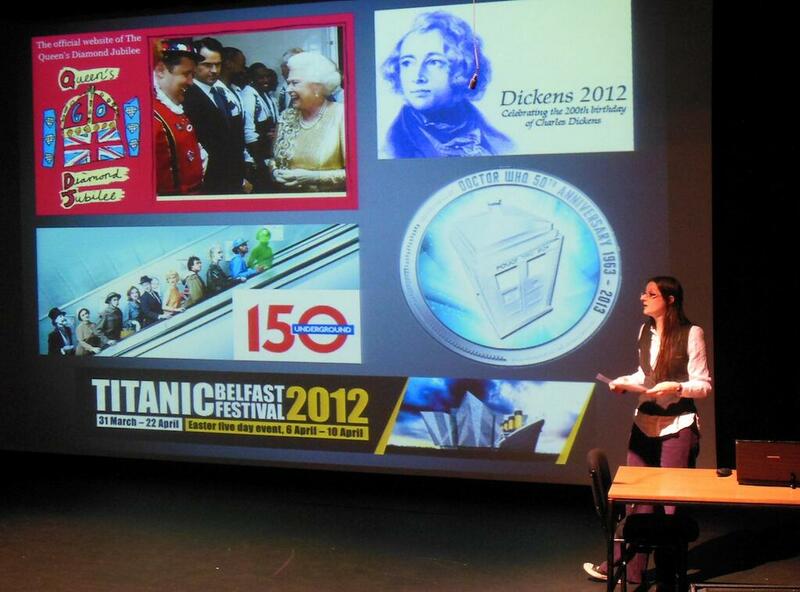 The slide shown in the picture was my montage of logos from recent and forthcoming anniversary commemorations, which I used to explain how anniversaries work and why they fascinate people. But the real focus of my talk was on how to use the anniversary to help school pupils get to grips with some of the aspects of Augustus’ career which they often find difficult – especially trying to make sense of the very different responses, from flowing praise to attempted assassinations, which he provoked (both in his own lifetime and ever since). I’ve now written up my talk in the form of an article for the JACT magazine, The Journal of Classical Teaching, and that should come out in September. Quite a busy schedule, then. Apart from the Fettes College talk, I believe all of those are open to anyone who wants to come – although obviously they are aimed at different audiences and the ARLT summer school charges a fee. So do come along and see me in action if you are interested! 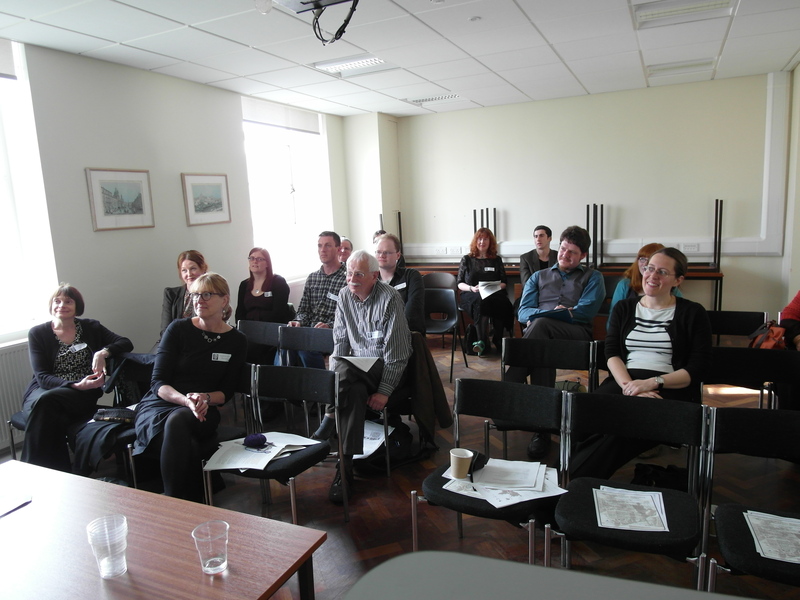 Last Friday saw the official public launch of the Commemorating Augustus project, in the form of a half-day colloquium in the department of Classics at Leeds. 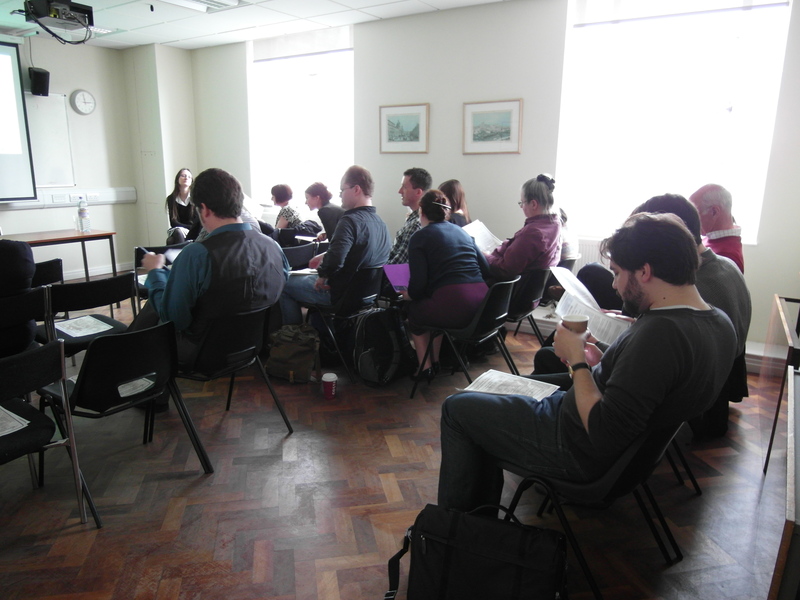 The aim of the event was to bring together some of the confirmed speakers from the main conference next year, some of those considering proposing a paper for it, and anyone else interested in the project. That way, we could all see how our own work fits into the project as a whole, and get started on the collective conversations about Augustus and his receptions which will culminate in the conference itself. I’m glad to say that the event worked really well on both fronts, attracting plenty of attendees (especially given that it is exam season!) and sparking off some really interesting discussions which we will certainly want to continue at the conference next year. Our afternoon started in the first century BC, with two papers centring around the event which next year’s bimillennium will commemorate: Augustus’ death. 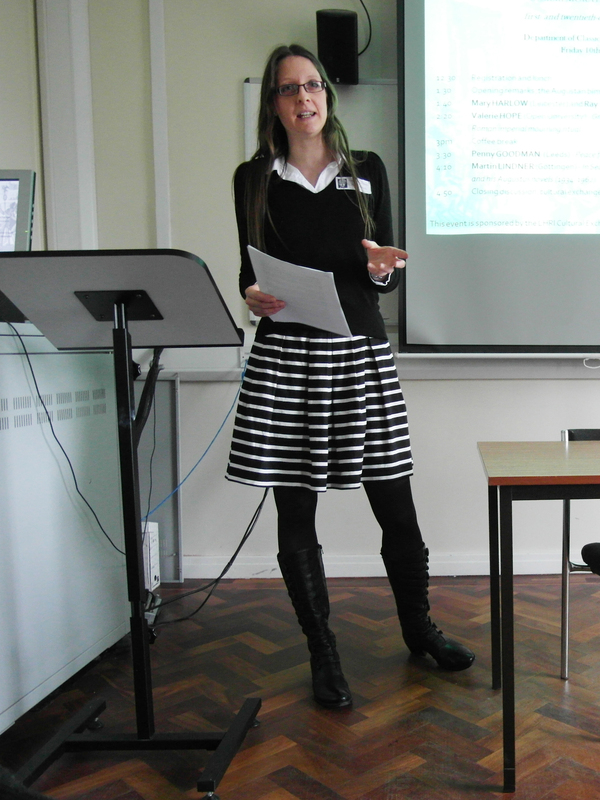 Mary Harlow (Leicester) began the event by presenting a paper which she had co-authored with Ray Laurence (Kent) on ‘Augustus and Old Age‘. Mary and Ray have been working together on ageing and life courses in the Roman world for over a decade now, putting them in an excellent position to explore the ways in which Augustus presented himself as a continuing centre of political authority even as he became old and decrepit. Famously, of course, Augustus chose not to acknowledge his physical ageing in his portraits, so Mary started off by sharing a very clever photo-manipulation of the Prima Porta statue with its features artificially aged – a great way to shake us out of seeing Augustus as perpetually youthful and get us to think instead about him as an old man! 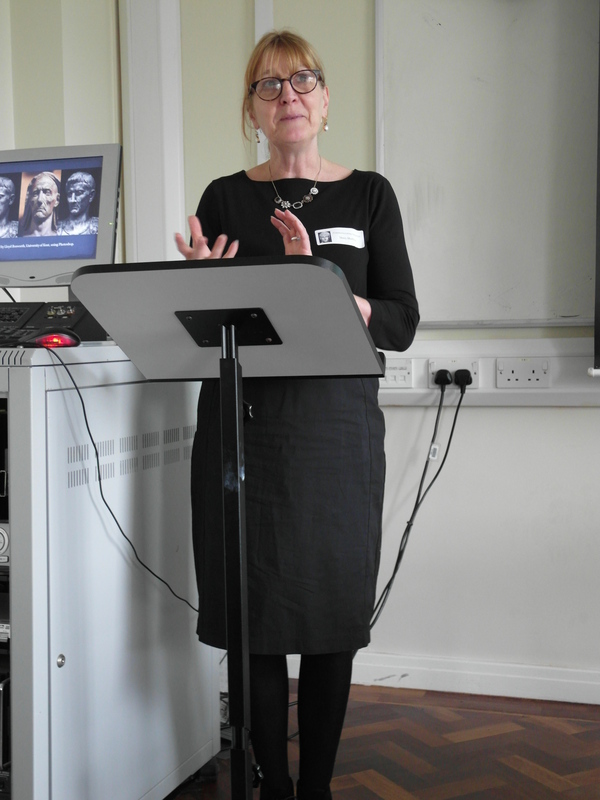 She went on to talk us through Roman conceptual models for the various stages of life, and the behavioural expectations which go with them, before focusing in on perceptions of the elderly as expressed in art and literature. Augustus himself, as Mary showed, conforms to and confirms some parts of the typical trajectory for the ageing Roman elite male – for example in his role as a grandfather and his relief at passing his ‘grand climacteric’ (the 63rd year of life). But unlike other elderly men there was no possibility of him retiring from public life. Instead, he found ways of managing his advancing age which I felt had considerable resonances with the tactics now being deployed by the Queen – foregrounding younger family members and limiting his appearances in the senate, but still exerting an active and forceful control over public affairs. Valerie Hope (Open University) then carried us forward to the aftermath of Augustus’ death in her paper, ‘Grieving for Augustus: emotion and control in Roman imperial mourning ritual.’ Valerie has published extensively on Roman funerary monuments and commemorative practices, and is currently working in particular on traditions of Roman mourning. Taking George Osborne’s recent tears at the funeral of Margaret Thatcher as a starting-point, she asked us to consider social expectations regarding appropriate expression of mourning behaviour, both ancient and modern. In the ancient world, of course, these expectations were heavily gendered, with men permitted to show moderate, but not excessive, grief, while women were expected to be far more openly expressive, especially for close family members. Drawing on the literary models of ‘good’ and ‘bad’ emperors, Valerie was able to outline the expectations of a ‘good’ male mourner through the example of Augustus himself, who supposedly bore his losses with bravery and resignation, though not without any emotional response at all. Moving to Augustus’ funeral, Valerie observed that although it was visually splendid, surviving descriptions report very little in the way of noise or clamour. Only Tiberius groaned out loud in the senate (Suet, Tib. 23) – a response which Valerie felt has been unfairly labelled as insincere. For other senators the appropriate response was perhaps muddied by the fact that Augustus’ death also meant his deification and Tiberius’ accession to power. Meanwhile, the ordinary people’s desire to mourn their Pater Patriae was left rather unfulfilled in the old-fashioned funeral proceedings overseen by Tiberius and Livia. We next paused for coffee, before shifting our focus to Augustus’ posthumous legacy. This will be the major focus of next year’s conference, and was represented at the colloquium by two papers on receptions of Augustus in the mid-twentieth century. The first was my own, and dealt with the commemorations held for the bimillennium of Augustus’ birth on September 23rd 1938. Under the title ‘Peace for our time? Commemorating Augustus in 1938,’ I first set out the range of events held worldwide at this time. The commemorations held in fascist Italy have been thoroughly studied, but using newspaper archives, bibliographical databases and contemporary periodicals I have uncovered at least forty more events held across western Europe, north America and Australasia which are currently largely unrecognised. These are important examples of Augustan receptions in their own right, and can also help us to place the Italian events in a more meaningful context. Working through the non-Italian commemorations, I showed how most expressed a very idealised view of Augustus as a bringer of peace and a cultural unifier. This would soon be swept away by Syme’s delineation of his ruthless rise to power in The Roman Revolution. But in a world recovering from one World War and hoping to prevent a second it is not surprising to find that people looked to Augustus as an icon of peace and harmony. Meanwhile, one German expatriate journalist used the occasion of the bimillennium to compare Augustus with Hitler, casting the tyranny of the former as a dire warning against the latter. Arguably, this is just as distorted a perspective on Augustus as the more common tendency to view him an icon of peace and stability – but grounds for both can be found in the ancient sources. I closed by suggesting that Augustus’ real attraction in 1938 was his capacity to serve almost any contemporary political agenda via the language of a shared Classical heritage. Finally, Martin Lindner (Göttingen) focused directly on mid-twentieth-century Germany with a close study of interpretations and re-interpretations of Augustus across three re-writes of a single novel. 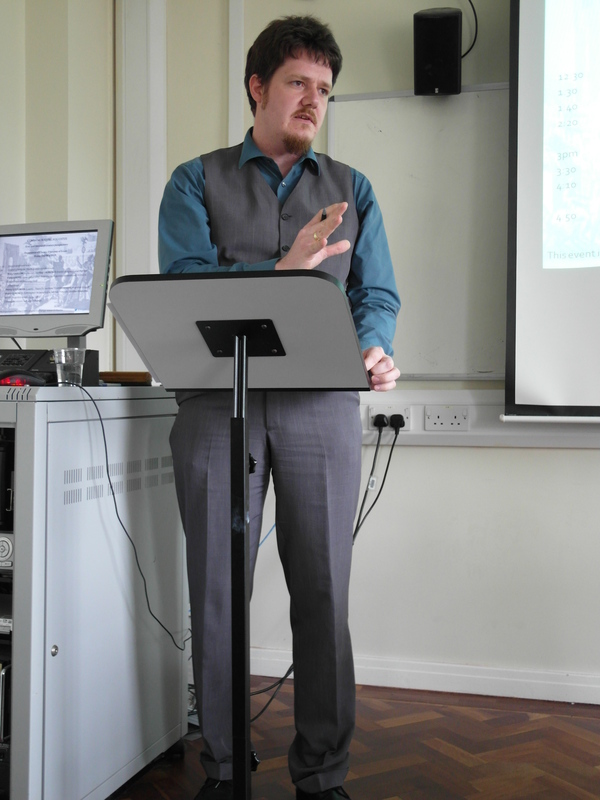 Martin has published the only systematic book-length study of Roman emperors in film, as well as an impressive series of articles exploring issues of national identity in receptions of the ancient world. His paper applied this interest to Augustus under the title ‘In search of a German Princeps: Günther Birkenfeld and his Augustus novels (1934-1962)‘. Birkenfeld is not well known today, even within Germany, so Martin first outlined his background as a Classical historian and the beginnings of his career as a writer. It was his Augustus novel, though, which really brought him fame. Published initially in 1934, but significantly rewritten and re-released under different titles in both 1943 and 1962, Martin pointed out how the various editions coincide with and reflect three watershed moments in German history: the establishment of the Third Reich, the Second World War and the construction of the Berlin Wall. Birkenfeld’s Augustus was never simply a cipher for Hitler, even in 1934. Instead, as Martin showed, Birkenfeld’s prevailing interest lay in the Augustan principate as the ideal context for the birth of Christianity. Nonetheless, his characterisation of Augustus as youthful, ambitious and purposeful in the first edition matched contemporary German ideals of leadership, while the later versions reflect the crumbling of that ideal. The 1943 edition made much greater play of Augustus’ self-doubts, while the 1962 version directly acknowledged his responsibility for cruel actions, even while maintaining that the ends justified the means. Yet a posthumous reprint of 1984 returned to the text of the original edition, complete with language and concepts which were no longer considered appropriate in the post-war era. As Martin explained, the novel itself had now become a historical artefact, bringing a new generation of Germans face to face with their own history through the story of Augustus. 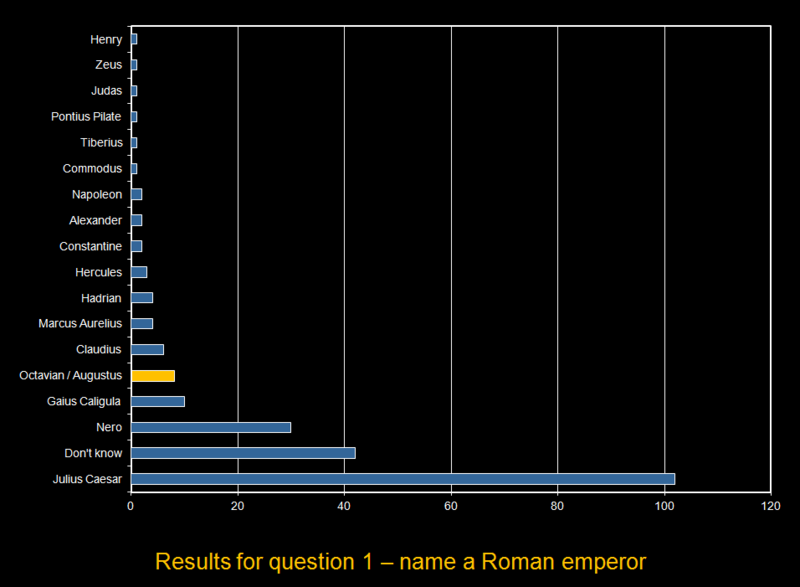 This turned out to be a very fruitful question to ask about the study of Augustus. He is comparatively well served by the historical sources, yet as we agreed, much of what we think we know about him proves insubstantial or ambiguous when examined closely. This can mean that although it is tempting to imagine that we can enter into a straightforward dialogue with him, in reality that conversation is one-sided. As a result, we are free to fashion Augustus in our own image – and yet as Ulrike Roth put it, even as we do so, in some ways he is still controlling us. He cultivated the very ambiguity which makes him a tabula rasa today by striving to maximise his appeal in his own lifetime, leaving us no better able to see him as a coherent human being than his contemporaries. Meanwhile, the study of his receptions highlights the ambiguity of the historical Augustus by demonstrating his capacity to generate so many very different responses. In terms of the LHRI Cultural Exchange questions, thinking about Augustus reminds us that while any relationship between the past and the present must inherently serve the interests of the present, its parameters are still defined by the interests of the past – even, and perhaps especially, when we think that they are not. The Commemorating Augustus project is really gathering pace now. I’ve been developing some very exciting partnerships, which I hope to post about here once they are ready to be unveiled to the public. But before that I am off on a research trip to a place I never expected to be visiting in pursuit of Augustus’ bimillennium: New York! The reason for my journey is that I am currently busy researching a paper on commemorations held for the bimillennium of Augustus’ birth in 1938. Ultimately this is so that I can compare and contrast them with what happens in 2014 in my book, but in the shorter term I will be giving a paper on the 1938 commemorations in their own right at a colloquium which I will be running at Leeds on Friday 10th May. My paper will be called ‘Peace for our time? Commemorating Augustus in 1938’, and you can read an abstract for it here. The best-known commemorations of 1938 were held in Italy, and included a major exhibition, the clearance of Augustus’ Mausoleum and reconstruction of the Ara Pacis, academic publications, the issuing of stamps, coins and more. But although these events have received a great deal of scholarly attention, far less research has been done into the commemorations which were also mounted during the same period by people and institutions in America, Britain, Switzerland, Spain and elsewhere. So that’s where I come in. My trip to New York will involve looking at archival records from three commemorations which all took place within a 70-mile radius of one another, and were intimately inter-connected. The first event took place at Vassar College in Poughkeepsie between March 17th and April 14th 1938 – i.e. a few months before the exact day of Augustus’ natal bimillennium, which was September 23rd 1938. There is a brief description of it here in the college’s online chronicle, and the events included a writing competition, an exhibition of photographs, coins and rare books in the college library, a lecture by the art historian Karl Lehmann-Hartleben, and a festival at which the winning competition entries were read. The driving force behind this particular commemoration was a lady named Elizabeth Hazelton Haight, one of the college’s graduates and a member of faculty staff in the Department of Latin from 1902 to 1944. I’ve been reading up on Hazelton Haight in preparation for my visit, and she seems to have been an incredible individual. She travelled widely in Italy and North Africa, taking photographs and collecting objects as she went; founded a Classical Museum at Vassar; wrote ten monographs and numerous articles; was president of the American Philological Association in the mid-1930s; and consciously identified as a feminist. Her scholarship ranged widely, though focused above all on ancient fiction (with Augustan poets coming a close second), and she was passionately devoted to what we would now call public engagement, regularly writing articles for newspapers and popular journals. She also placed considerable emphasis what we would now call reception studies (i.e. exactly what I am doing! ), tracing for example post-Classical reworkings of stories from Apuleius – and not just in written texts, but also in visual media such as tapestries. From email correspondence with the college, it already sounds like there probably aren’t any very detailed records of the 1938 commemoration in their archives beyond the contemporary newspaper articles which I have already identified, but given that I need to go to New York city to work on the two other commemorations anyway, it seems silly not to make the short journey to Poughkeepsie as well while I am there. They certainly do have several files of Elizabeth Hazelton Haight’s correspondence, as well as correspondence between the college President and the Latin department, and various college yearbooks which I know Hazelton Haight wrote for regularly – so I will be combing all of those for any more information on the commemoration. I’m also hoping to visit the college’s Frances Lehman Loeb art center while I am there, where most of the artefacts from Hazelton Haight’s Classical museum are now held, in order to see an Augustan marble relief head which was the star attraction of the commemorative exhibition and the subject of the lecture given by Karl Lehmann-Hartleben. The second event which I will be researching was put on by the American Numsimatic Society, and ran from April 28th to June 30th 1938. I’ve yet to prove a direct connection between this one and the Vassar commemoration, but it did feature a lecture by Lily Ross Taylor, who had taught at Vassar herself from 1912 to 1927 before returning to Bryn Mawr college (where she had done her degree). So she would certainly have known Elizabeth Hazelton Haight personally. The individual who actually suggested this particular commemoration, though, was not Ross Taylor, but a fellow of the ANS named Luigi Criscuolo. I don’t know much about him at present – just a few snippets – but am hoping to learn more while I am in New York. His name would certainly suggest that he had links to Italy, which may mean that he was following the burgeoning commemorative programme there particularly closely. I do also know that the Italian Ambassador and Consul General came to view the exhibition in June 1938, so Italians were clearly interested in it on an official level. A numismatic society can get particularly good value out of an exhibition on Augustus, of course, because he had such a huge impact on how Roman coins were used. As part of his efforts to consolidate his position as Rome’s first legitimate emperor, he used coins on an unprecedented scale to spread his image around the empire and ensure that it was associated with carefully-selected iconography indicating what sort of ruler he would be. So coins are an incredibly important historical source for his reign, both individually and collectively. The ANS exhibition, which is described briefly on this page, seems to have put on display a selection of some of the most interesting examples, and I’m hoping to learn a bit more about exactly which while I am there. Certainly, I know already from talking to their archivist that they have four folders of correspondence, clippings and photographs about the exhibition, a contemporary copy of the exhibition catalogue, and various other files with administrative records relating to its preparation. So this should be a real gold-mine for me, and I am raring to get stuck in! The final event I am going to find out more about was an exhibition held at the Metropolitan Museum of Art from January 4th to February 19th 1939 (so this time a little after the bimillennium itself), for which this is the catalogue. The Vassar and ANS events both fed into this one, since the Met borrowed the marble relief head which had been the star of the Vassar commemoration and a number of coins from the ANS to include in its displays. Perhaps more surprisingly, the Met’s exhibition was also intimately linked to the Mostra Augustea della Romanità which had run in Italy from 23rd September 1937 to 23rd September 1938. Several of the items on display in the Met’s exhibition were plaster casts which had been made for the Italian exhibition, and then lent to the Met afterwards. In fact, the opening of the Met exhibition had to be postponed for a week (it was originally due to open on December 28th) due to shipping delays which prevented these items from getting to New York on time. America, of course, followed an isolationist policy until 1941, so it probably seemed perfectly normal at the time for Italian and American archaeologists and art historians to be collaborating on an exhibition, in spite of the looming onset of the Second World War. But I’ll be looking for more detail about this connection in the Met’s archives in a quest to find out how it worked at the time and how the people involved saw the connection. I’m also particularly excited at the prospect of seeing a set of eleven photographs of the display which they hold, since although some of the exhibition materials are illustrated in the published catalogue, this isn’t true for all of them. The one item I’d most like to see is the marble relief head from Vassar college, since none of the contemporary publications about the Vassar event include a picture of that either. It means that while I think I have tracked down the right item in the Frances Lehman Loeb art center, I can’t be 100% sure, since I am working on the basis of a written description only. A photograph of the item on display in the Met could solve that particular puzzle for me – so let’s cross fingers that they have one. I’ve never really done full-blown archival research before, since of course we don’t have archival material relating to the Romans. Or at least, we do, but Roman archives are recorded on fragments of papyri, illegible wooden tablets or bronze inscriptions, all of which require specialist research skills and sometimes advanced equipment simply to decipher them. The idea of just being able to go and look through folders full of letters and clippings, and being able to read them all straight away, seems very exotic to me. But the archivists I’ve arranged the visits with via email have all been incredibly helpful and welcoming, so I am really looking forward to giving it a go. And I do believe I may find some time in amongst the research to go up the Empire State Building, ride the Staten Island Ferry, eat bagels and maybe drink a few Cosmopolitans while I am there.